First workshop. Photo courtesy of Girl Activists of Kyrgyzstan and used with permission. 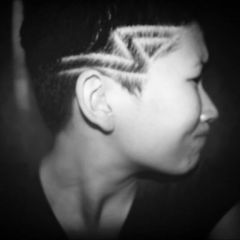 We are Girl Activists of Kyrgyzstan, who are fighting for equality between girls and boys. We are fighting for a world without violence, hate, injustice, and discrimination. Kyrgyzstan is little mountainous country in Central Asia that faces many difficulties. Many people feel that the government does not want to listen to youth in order to make decisions that affect the youth. Few people know how difficult life is for girls living in the villages. That is why our project “Our Stories Ourselves” works with girls from different villages in Kyrgyzstan, so that they will write stories about themselves and will document their lives in villages through videos, blog posts, and photos. 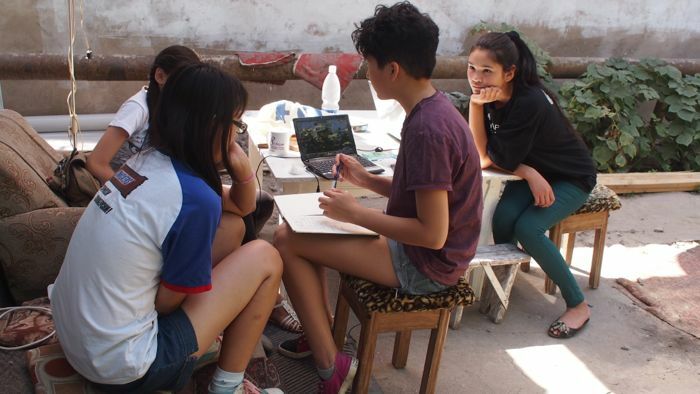 In July, we invited girls to participate in our project from three different Kyrgyz villages. Since then, we have been planning our future activities: how and when we will conduct trainings by the girls from Bishkek. At the trainings, we will show them how to use WordPress for posting their stories on our blog, and how to take photos, videos, audios, and write notes with smartphones, and then share them on Facebook and Twitter. Girls from two other villages were unable to participate. We had some difficulties with some parents’ patriarchal and conservative views towards their children. Some parents categorically didn't allow their daughters to come to the city to participate in the training, as they found it unnecessary. We want to meet with their parents and explain how important it is for girls to participate. Many girls have to work everyday to make money to support their families and others have obligations at home. Somebody has to clean the house or look after their little sisters and brothers or milk cows or tend and herd sheep. But do they want to do all these things? Girls help sustain life in the villages. We also discussed stories. What did they want to share in their stories? What is important for them and what are they worried about? How do they live and what problems do they face? It was good that girls were active to participate. That was important for them. They wanted something to add or something to change. I think the most important thing at this meeting is that we found new friends. We support each other and this was really cool. Our team from Bishkek also participated. We found many things that we did not know about WordPress and many other clever functions in smartphones. It was really interesting for us too, as we explored citizen media alongside the girls from villages too. We were all teachers, and we were all students. Well my name is Ekta and I write from a city named Pune from India. I am also working with around 30 colleges in Pune and want to spread awareness about gender sensitizaion and create content to feed the internet savy youth around sexuality, equality and respect for all genders. I really appreciate and congratulate you for taking this issue up and working towards creating a violent free world. kudos! Cool!!! Thank you a lot!